You’ve looked over the conference schedule and made your packing list and action list. You’ve prioritized and tackled your list. Your materials are prepped, your laundry is done, and your errands are run. You’ve waited, anticipated, and prepared and tomorrow is the day: conference. If you’re anything like me, at this point you’re feeling physically prepared, but mentally you’re a mess. 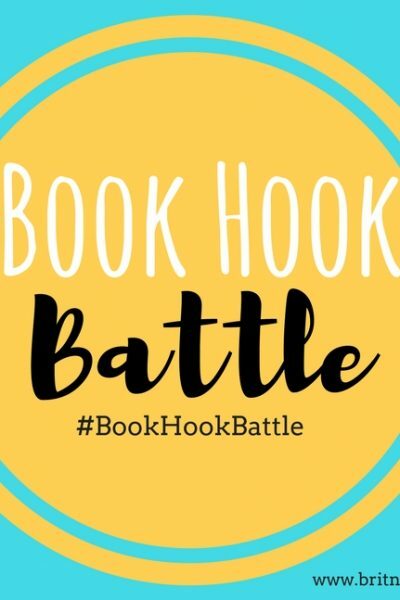 You’re second guessing yourself, terrified of meeting new people, and you can’t even remember what your book is about (let alone the name of your main character). 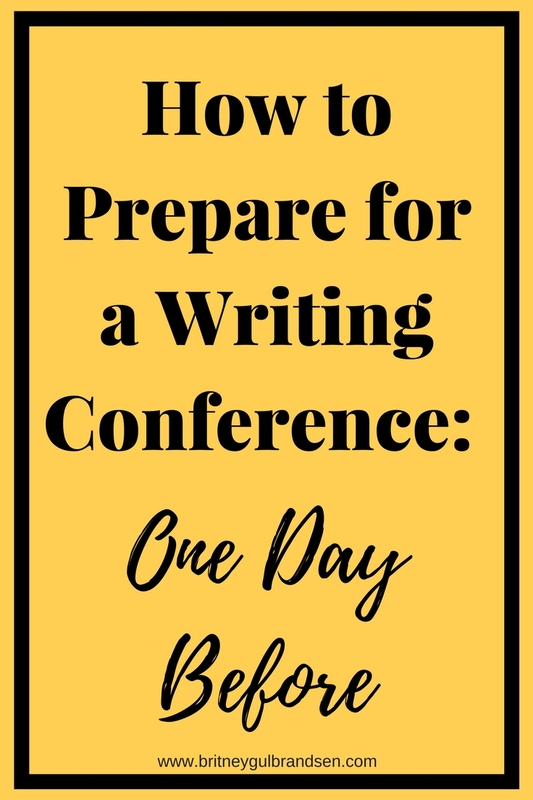 Here are some tips to go from “prepared” to “confident and ready to rock conference”. Even if you aren’t pitching to an agent, you’re going to meet a million people and all of them will ask you some version of, “So what are you writing?” Seriously. Okay, so maybe I exaggerated just a tad. But you will get asked that question a lot, so it’s a good idea to have a short blurb prepared because there’s nothing more embarrassing than being put on the spot and forgetting what your own book is about! Or babbling on and on until you can see your conversation partner’s eyes glaze over because you haven’t figured out how to succinctly get to the heart of your story. Trust me. It’s happened to me a ton (and will probably keep happening…). So write a one sentence blurb and memorize it. Nathan Bransford wrote a good post about one-sentence pitches years ago, if you need help writing one. Nerves might get to you and you could still freeze up, but if you have a verbal pitch prepped, you’re much less likely to draw a blank. I’m definitely an introvert and I get social anxiety, so being in the chaos of a big event can be overwhelming. And introversion and social anxiety are both pretty common things for writers. So if you struggle with crowds, take a few minutes to jot down some conversation starters, questions, and things to remember when meeting new people. This can instantly boost your confidence. Where did you get the idea for your current project? Is this your first conference? What’s your favorite conference you’ve been to? 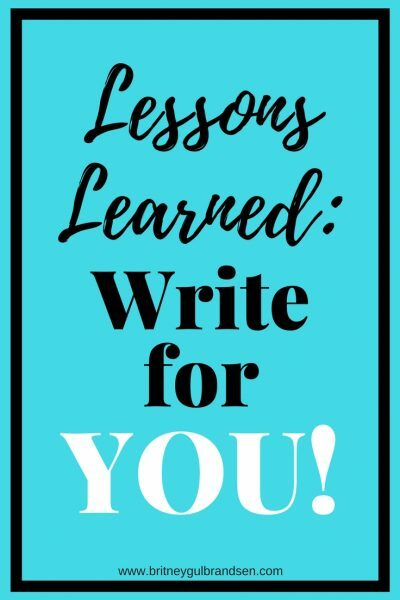 What’s the best tip you’ve learned about writing? What book do you think every writer should read? I choose to be confident today. I am excited to meet new people. I have the potential to write great things. I have the power to make today amazing. Something good will happen today. Today I will begin to create the life of my dreams. Playlists are a fun way to get excited about a new experience, phase, or adventure and can help create the mood you want to feel. Create a calming playlist to help you fall asleep at night or for your flight. Make an energetic playlist to help you get moving and ready to take on the conference each morning. Or just keep a favorite song ready to go for a quick mid-day boost. Look at the conference schedule and decide what classes you want to attend. This can be really tough! I like to highlight my choices right on the schedule, pink for first choice and green for second. I always select two choices because I’ve learned that sometimes I change my mind once I arrive. Maybe I meet an instructor and really want to take a class from him. Maybe my writing priorities change. Maybe I get a great idea for a short story during a panel and decide I want to take the class on short stories to learn more about that style of writing. Whatever the reason, I find myself changing my mind A LOT, so be flexible. But it’s still a good idea to go in with a plan. Also, read the class descriptions! Sometimes the titles of classes can be ambiguous, so you could get to a class and realize it’s not what you were expecting at all. The description guide can usually clear those misconceptions up ahead of time. This one is easier said than done, but try to get to bed as early as possible. You probably won’t get as much sleep as usual during the conference, and as odd as it sounds, sitting in classes all day long is draining and exhausting. The more sleep you get BEFORE the conference, the better off you’ll be. What do you do the day before conference?